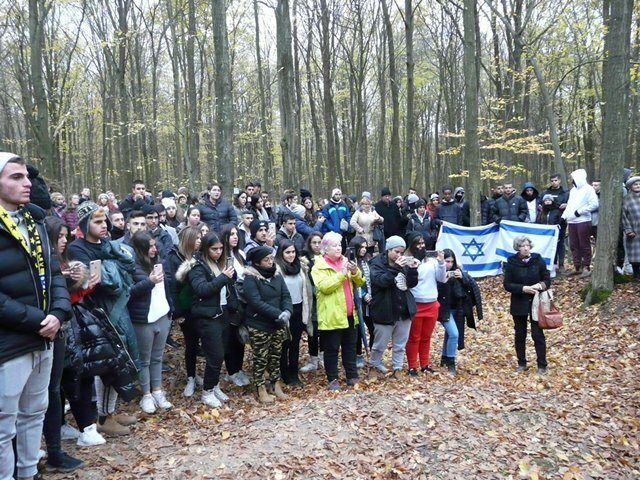 In a forest in the town of Bzowiec the Lasting Memory Foundation commemorated a burial place of 25 Jews – men, women and children murdered by the Germans in 1942. Their first and last names were inscribed on the Memorial. 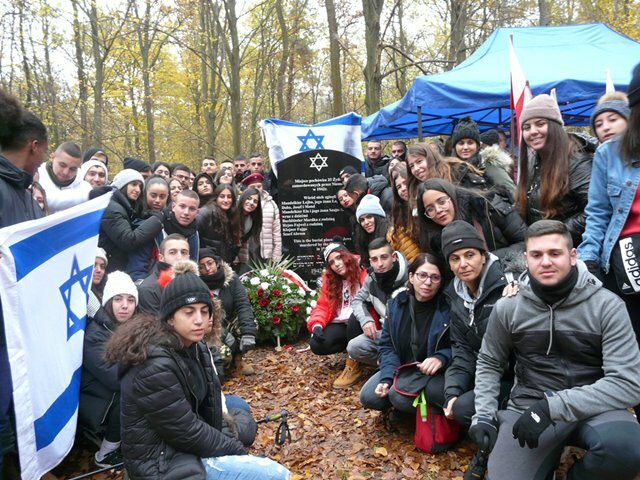 The unveiling ceremony conducted by the Foundation was attended by more than 200 people from Poland and Israel who gathered to pay tribute to the dead and restore the memory of their lives. 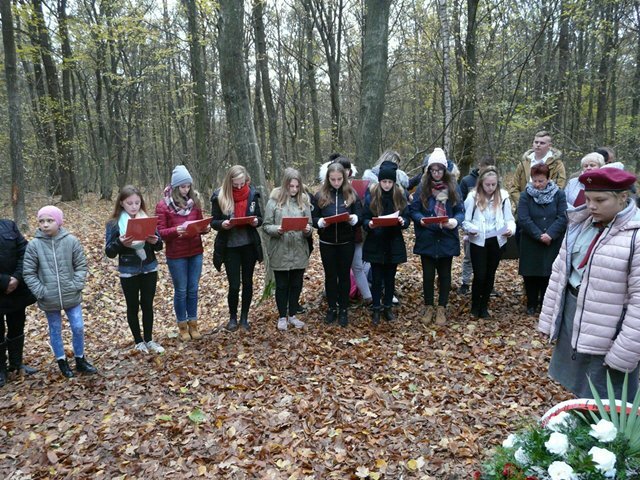 Among the participants of the ceremony were: Representative of the Chancellery of the President of Poland Jakub Beczek, Cantor Symcha Keller, Representative of Episcopacy – Bishop Mieczysław Cisło with priests of three local parishes, Mayor of Rudnik - Tadeusz Zdunek, a group of 100 students from the town of Or-Yehuda in Israel, Junior High School students from Rudnik along with their Principal Mariusz Żarnowski, members of a regional society and the residents of Bzowiec and adjacent villages. 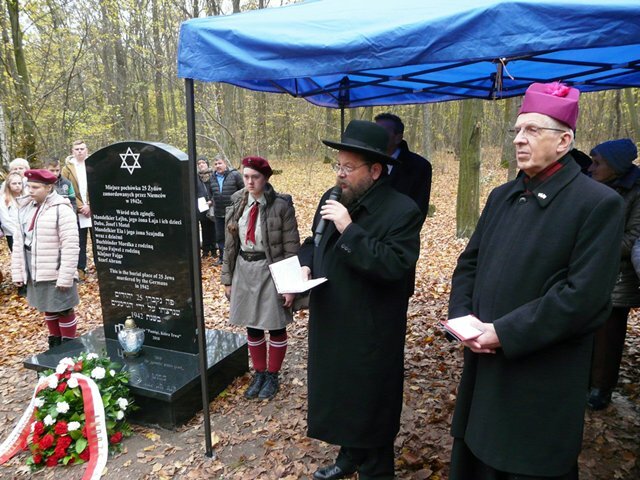 The ceremony was conducted by the Foundation’s President – Zbigniew Niziński. Cantor Symcha Keller and Bishop Mieczysław Cisło prayed together. 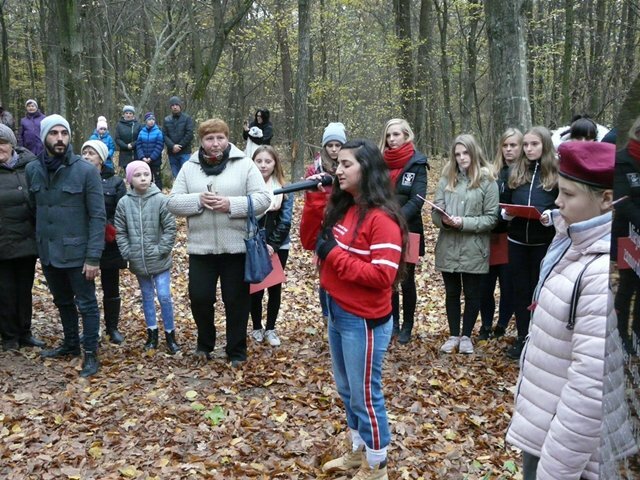 The youth from Rudnik and Israel sang songs and recited poems. The regional society band played music and performed a song. Candles were lit and wreaths laid at the Memorial. 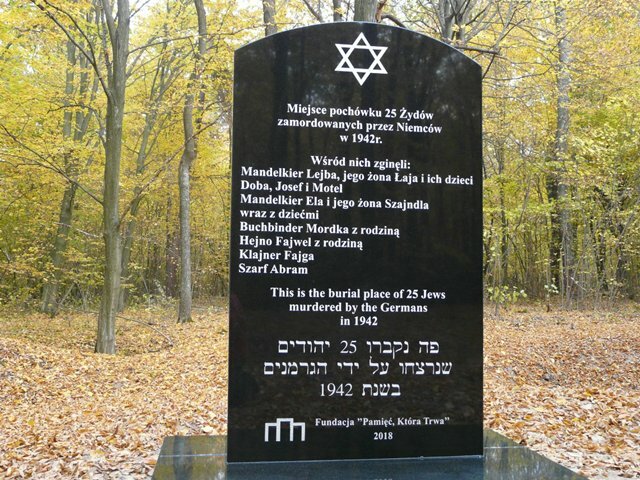 The murdered Jews were mostly residents of Bzowiec and Kitów. 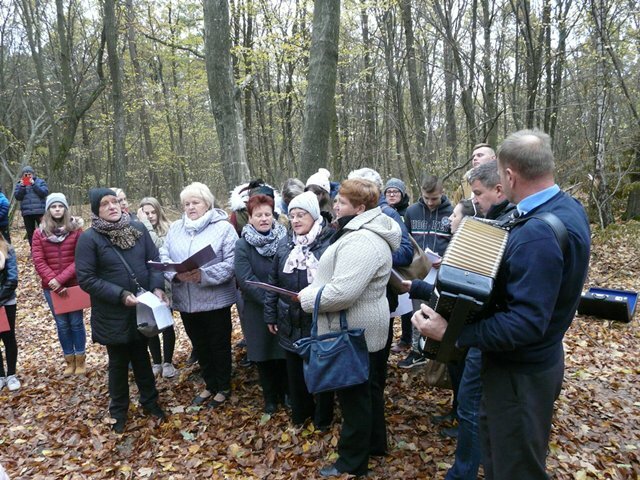 When in spring 1942 the Germans ordered them to report to the ghetto in Gorzków, they decided to run away and find a hiding place with the support of the owner of a local manor house and the residents, which lasted for a few months. 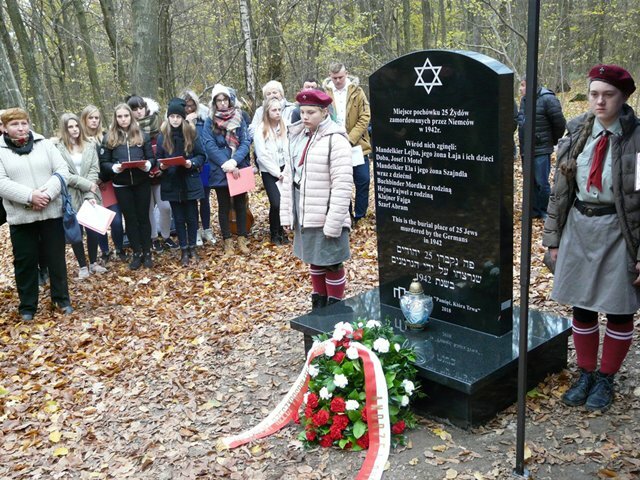 The Mayor Tadeusz Zdunek told the story of those tragic events – in September 1942 German military police arrived in Bzowiec. The Jews were rounded up on one of the farms and executed in the backyard in the presence of many witnesses. It was ordered that the bodies were to be transported to the woods and buried in a nameless grave.